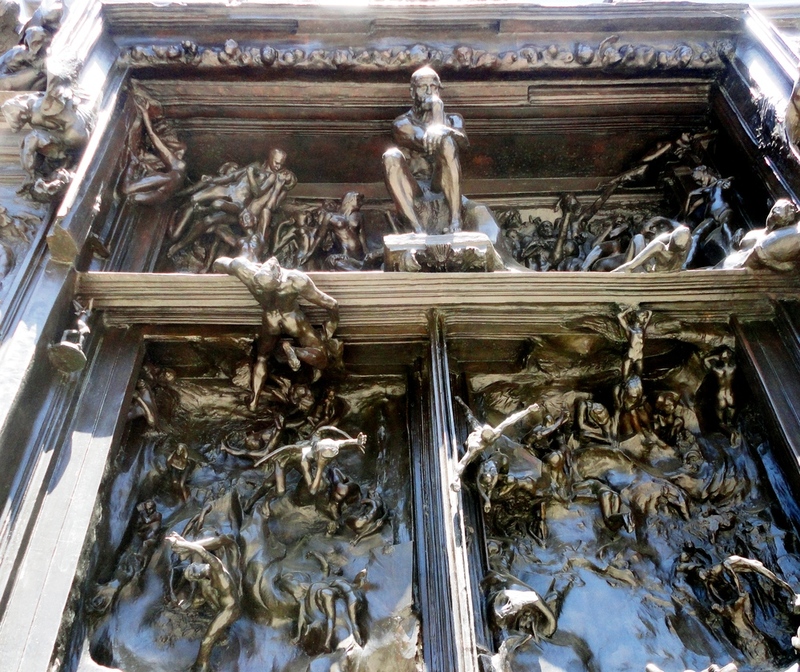 Hell has seared its way into the western conscience, evidenced by Rodin's massive Gates of Hell (with the Thinker as centerpiece), and most impressively by the Renaissance man Dante's writing of the Inferno. The term most often used by Jesus for Hell in the New Testament is the Hebrew Gehenna (for Valley of Hinnom), a place of child sacrifice in the Old Testament. Viewed from Gehenna at night in modern times is the western wall of the Old City of Jerusalem. Looking inward, one sees well-worn steps down in and from the depths of a still forbidding and as-yet relatively undeveloped locale next to the heart of Jerusalem today. Hell has served as a theological underpinning for western Christian culture – both Catholic and Protestant – almost but not quite since the days of the early church. In part, western fear of hell can be attributed to what may appear as definitive statements in the Bible. However, we can also thank church theologians and resulting dogma, which together have shaped concepts that have persisted for centuries. b) is eternal (or never ending) – offering no escape, whether via repentance or annihilation. 1) The English term “hell” misrepresents what the Bible in its earliest versions really says. 2) While the 1611 King James Version (KJV) makes liberal use of the term “hell”, biblical use of the term “hell” is on a downward trend with more recent translations. 3) As the last term for hell remaining with modern New Testament translations, Gehenna is better understood as an actual earthly place rather than as the symbol of a never ending place of personal torment for non-believers after death and judgment. 4) While condemnation and judgment are theological concepts widely shared throughout the New Testament, hell is not. More specifically, neither John’s gospel nor Paul’s epistles ever use the term “hell” - not even once. 5) A similar case can be made that other scripture references that imply the spiritual condemnation to a never ending hell also are incorrectly interpreted. 6) In place of hell without end, the Bible clearly recognizes accountability after death for the actions of this earthly life. Click on Reconsidering Hell for the full 40+ page manuscript (in pdf file format). Or go to our LIbrary page to check out this and other publications available at no charge as electronic pdf files.